Home News	Is your generator NFPA compliant? Cross-Industry Benefits of Load Banking: What you need to know. Many health care facilities are required to meet certain aspects of NFPA Code when it comes to testing and ensuring adequate performance from their emergency generator systems. Yet the benefits of load banking your generator go beyond simply meeting a mandate and are good practice for any industry application. Loading must maintain minimum exhaust gas temperatures as recommended by the manufacturer. Under operating temperature conditions and at not less than 30% of the generator standby nameplate kW rating. not less than 75% of kW rating for 1 hour for a total test duration of not less than 1.5 hours. 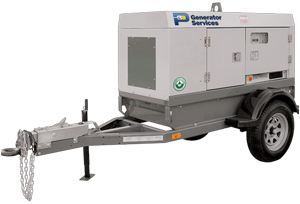 Having a Load Bank performed on your generator will not only achieve the mandates of code, but also ensure that your generator will be able to successfully maintain its capacity rating should an actual emergency occur. And isn’t that why you have it in the first place? Load Banking is another piece that allows you to complete the puzzle of complete generator care and maintenance. Contact P3 Generator Services to schedule your next Load Bank Service. Need more information? Here are some helpful resources. What’s a Load Bank and how does it work? Load Test vs. Load Bank: Do you know the difference? For more details and clarifications related to this information, contact us.